Considering that the IceMule cooler isn’t much more than a glorified backpack that holds ice and keeps your beers cold, it feels strange to say that it’s a revelation in cooler construction and design. But really, all things considered, it is. Ok, maybe we should say that it’s a revelation in cooler bag construction and design. After all, it’s really unjustified to try and compare traditional hard coolers to soft cooler bags – it’s apples to oranges. Strictly considering cooler bags, then, we can confidently say that Ice Mule Coolers represent the pinnacle of soft cooler design, innovation, construction, and performance. There are currently three different models of Ice Mule coolers in production: the IceMule Classic, the IceMule Pro, and the IceMule Pro Catch. In this Icemule review, we’ll take an in-depth look at each one, compare various sizes/features, and also have a look at a few of Ice Mule’s accessories that play great compliments to the coolers themselves. Before we jump right into the dissecting process of the Icemule reviews, let’s just go over real quickly what an IceMule cooler actually is. 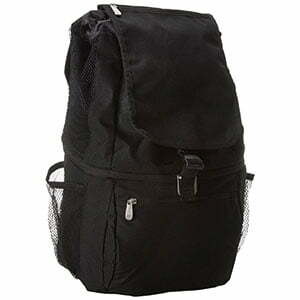 Essentially, they’re cooler backpacks; high-performance soft coolers that are super easy and comfortable to carry. 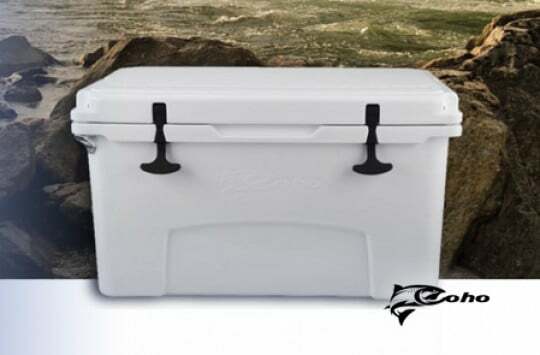 The entire idea, apparently, was spawned from a simple desire: “to carry a real cooler – one that carries real ice – comfortably and easily.” There you have it – straight from the horse’s mouth. So, if you’ve ever had a burning desire to carry a cooler on your back for long distances, well, now you can. The IceMule Classic cooler is the original, simple, bare-bones design. It’s essentially an insulated, waterproof roll-top bag that carries comfortably and conveniently with a sling strap; it doesn’t have backpack-style straps like the Pro model. The Classic is constructed with a durable MuleSkin™ EV external layer, which is separated from the one-piece welded inner liner with IceMule’s proprietary PolarLayer insulation. Additionally, the exterior has an IM AirValve™ which allows air within the insulation to be fully squeezed out for super compact, rolled-up storage. If you’re skeptical about how comfortable it is to carry a heavy-duty bag that’s fully loaded with ice, drinks, and snacks – don’t be. The thick insulation on these things, combined with the high quality padded carrying strap, make hauling the bag a relative breeze. The IceMule Classic comes in three sizes and three different colors: 10L (small), 15L (medium), and 20L (large). Each size is available in either orange, olive, or sky blue. For reference, the small size measures in at 8” diameter x 16” tall (closed), and will carry eight 12-oz cans or four 750-mL bottles of wine, with ice. The medium measures at 10” diameter x 16” tall, and the large at 12” diameter x 16” tall. As simple as they are, it’s really quite incredible how ingenious these things are and how well they perform – once you roll the top down a few times and buckle it together, you’ve got a fully insulated, waterproof bag that’ll keep your drinks as frigid as can be all the way to your destination. For reference, the IceMule Classic is stated to be able to retain ice for 24 hours. When your out in the heat and sunshine, consider that to be more like 6-8 hrs before your ice starts significantly melting. 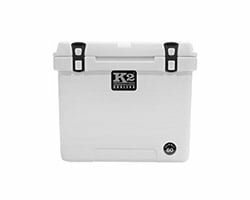 The IceMule Pro Cooler is a larger, beefed-up version of the classic that offers a few additional design features. Instead of a single sling-style carrying strap, the Pro features high-quality, super comfortable backpack-style straps and a padded, ventilated cushion for your back – an absolute necessity when carrying a 20L or larger bag that’s brimming at the seams with ice and beverages (by the way, it’s always good to read tips regarding backpack safety). In addition to the MuleSkin™ EV external layer that the Classic is constructed with, the Pro model has an additional, super heavy-duty 1000-denier MuleSkin™ ET layer for added durability. Also, the Pro has got a convenient elastic mesh pocket on the front for stashing little odds and ends (don’t know why this isn’t included on the Classic). The IceMule Pro comes in three different sizes (Large – 20L, XLarge – 33L, and XXLarge – 40L), and is available in three different colors (grey, olive, and a pretty sweet Realtree camo). The roll-top closure system is the same as the Classic, as is the IM AirVent™ feature – it’s pretty amazing how small these things can roll down when packing up for storage. Tip: Find more cooler backpacks reviews right here. Last but not least is the IceMule Pro Catch Cooler – IceMule’s fish bag, (or as they like to call it ‘fish catch’ cooler), that’s designed specifically for kayak and SUP (stand-up paddleboard) fishing. Essentially, the Pro Catch model is the same as the Pro model, albeit for a few key differences: it features an interesting tapered design (they’re wider at the top than they are at the bottom), welded straps, clips, and elastic strings so you can lash it down to your kayak (or whatever) in a million different ways, and also, they have a shoulder sling like the Classic model (as opposed to the backpack-style straps on the Pro). The Pro Catch comes in three different sizes: small (22” long), medium (32” long), and large (42” long). Functionality-wise, they feature the same IM AirValve™ as the Pro and Classic models, as well as the same super-durable 1000-denier MuleSkin™ ET exterior that the Pro has. As far as performance, we won’t say that the IceMule Pro Catch is any better than some of the other leading fish bags out there, but it definitely is excptionally suited for kayak fishing; it’s designed to be lashed to the bow of your ‘yak, which along with the top-opening design of the bag, makes for easy access without having to get up out of your seat. (Which, of course, you can’t really do in a kayak anyway). Definitely innovative in that regard. In addition to their line of coolers, IceMule has also got a few different handy accessories to play around with, that actually act as functional little additions to the bags themselves. A good quality dry pack that’s designed to stash right into the main compartment of the IceMule Pro. Definitely a handy addition that allows you to bring along some snacks and/or sandwiches, without having to worry about them getting all wet and soggy from contact with the ice. A nifty little waterproof, zip-up pack that’s designed to fit right into the elastic mesh pocket on the Pro and Pro Catch models. Definitely convenient for tossing in your phone and wallet without having to worry about them getting wet or damaged. What can we say, it’s a 6-pack of koozies. If you love the IceMule brand, show your loyalty by topping your collection off with this sweet kit, which includes two camo, two blue, and two orange koozies with the donkey IceMule logo. 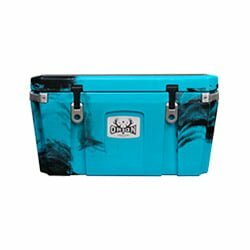 Wondering where to buy IceMule Coolers? Can’t find them at your local Wal-Mart? 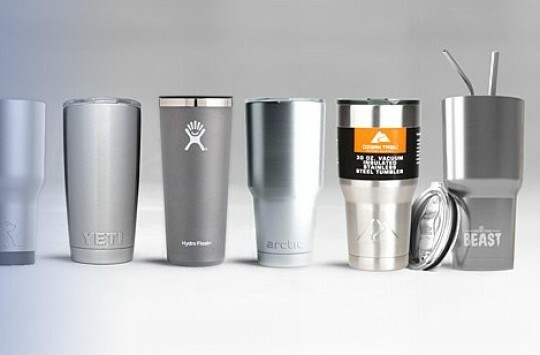 IceMule isn’t a gigantic brand – they are available at some brick-and-mortar outdoor stores across the country, but not too many of them. The easiest, most reliable, and most convenient way to buy IceMule coolers is on Amazon, where you’ll find a full range of all the different models, sizes, colors, and accessories. 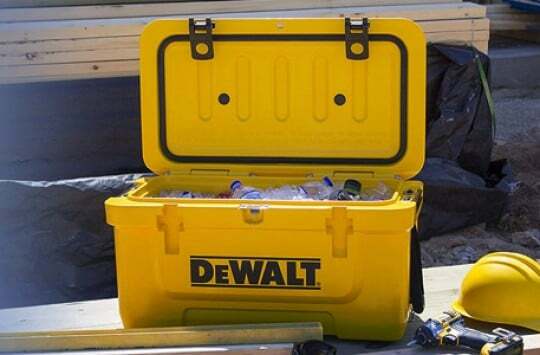 Real cooler that carries real ice, comfortably and easily. Definitely a cool, unique, quality product that’s worth checking out. 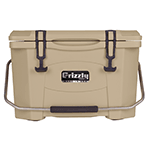 Tip: Check all IceMule Coolers and Accessories available on Amazon.